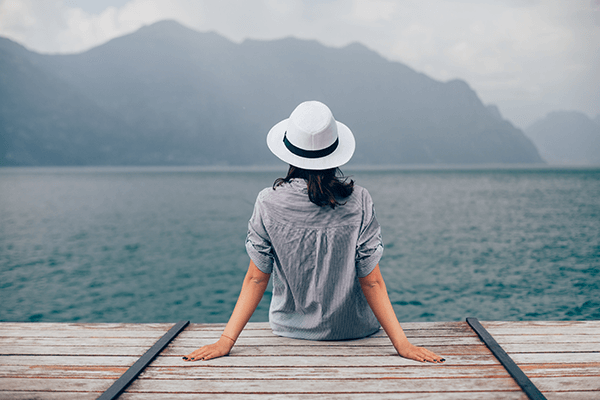 In today's content-driven society, travelers are exposed to an endless stream of information and guidance on not only where to travel, but how to look and feel their best along the way. Drawing inspiration from the various digital trendsetters who have made dressing well a necessary form of self-care, we designed the chic and sophisticated suitcase to empower travelers to pursue your own personal style journey with confidence.The Classico is a 20-inch, sleek and durable carry-on available in three, fashion-forward colorways; Red Ruby, Royal Sapphire and Black Onyx to complement any travel look. We’re talking a last-minute getaway for a few days here, not hiking Kilimanjaro so pack light! 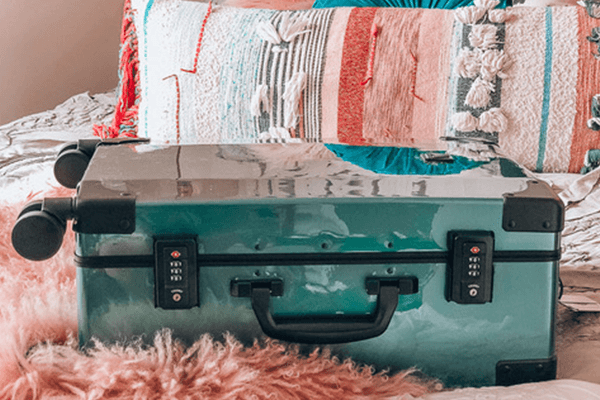 Not only will just having hand luggage save on flight fees it also makes it a lot easier with hotel check out times to wander around with just a backpack and not have to leave it in storage. Don’t panic, you can buy anything anywhere so if you forget something no sweat. Forget heavy and lumpy items like tripods and trade them in for balancing the camera, don’t bring hair dryers or the like but spend the money you save on checked luggage on a nicer hotel. Three outfits are plenty, one for the day, one for the night and something for dressing up. Keep it simple, keep it light. Build your uniform. 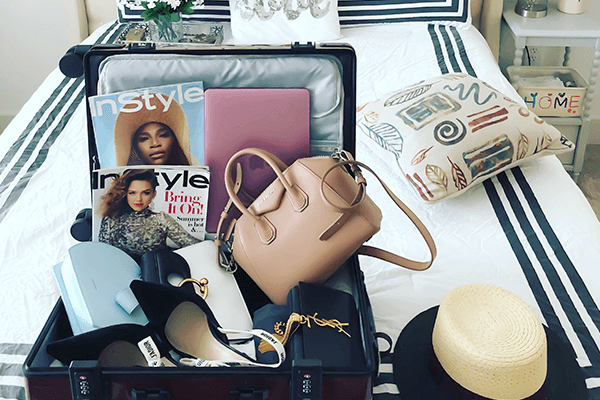 Start with two travel standards: the carry-on and tote bag that reflect your personal travel style. Luggage and suitcases let's you pack everything you need - in style. Tote bags is useful for travelers that have a lot of miscellaneous items that they want to keep with them at all times, and within easy reach. Women may opt for a more feminine version that resembles an over-sized purse, while men often select a structured bag. So no matter how long or short the journey may be, by land, air or sea, we've got you covered. 2019 Y.O.L.O. travel bucket list! We are months into 2019. With a fresh New Year comes resolutions, dreams, plans, challenges, goals, and of course a wide-range of travel. Where to go? What stamp to acquire? What exotic place to explore? Here is our top travel destinations bucket list for 2019. We hope that you can get to at least one of these places within the next 14 months. •No bucket list would be complete without an African safari! Head to Kruger National Park to get a glimpse of the big 5 on a guided safari. •Head to the country Cuba where the vehicles date back over 60 years! Enjoy vintage vehicles, welcoming locals, and a beautiful nation of history and beauty. Enjoy gorgeous beaches, conch shells waiting to sing, and traditional music ringing through the streets. •Take a stroll down Hollywood Blvd and spot your favourite stars of the past and present adorning the tiles on the sidewalk! Find the locations of your favourite celebrities and take pictures kneeling beside them. •Head to the most beautiful of all the Hawaiian islands! Enjoy incredible hospitality, floras, faunas, and natural wonders like the Hana highway. The Hawaiian people are incredibly welcoming and will show you a wonderful time from the moment you disembark your plane. •Famous blue painted buildings of the region of Chefchaouen became a Muslim pilgrimage as far back as the 15th century. Enjoy artistic architecture, unmatched scenery and a culture unlike any other. It's time to challenge yourself and try some new/crazy/weird/awesome activities. If you're a firm believer in the "you only live once" sentiment, tick these off your bucket list!